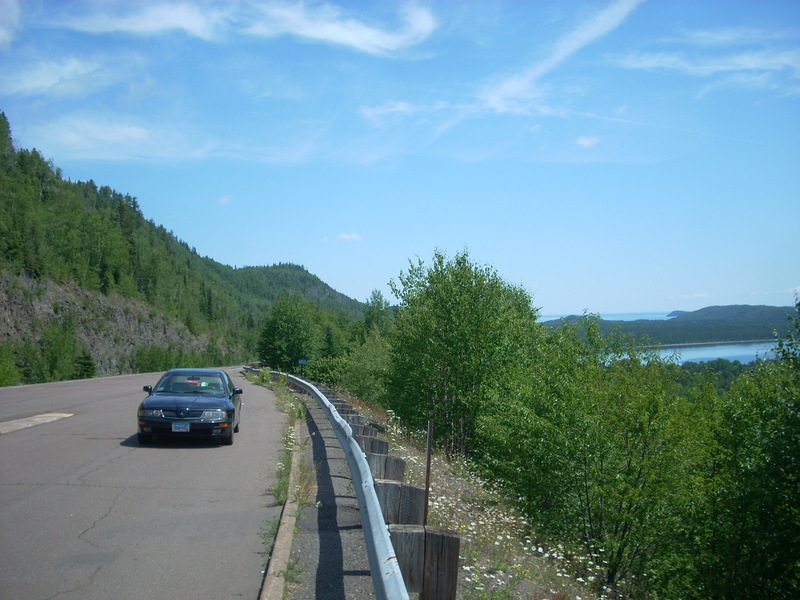 Moorhead, MN, has graced the pages of HighwayHighlights.com several times before. Back in 2013 I wrote about the Hjemkomst Viking Ship, a replica of a famous Norwegian ship from the 1800’s that a guidance counselor named Robert Asp from Moorhead and his crew built in the 1970’s. After Asp died in the early 80’s, the ship was sailed from Duluth, MN all the way to Norway. In keeping with the Viking theme, there was later built a replica of a Norwegian Stave Church, or “Stavkirk,” on the grounds of the Hjemkomst Heritage Center, where the ship is permanently housed. 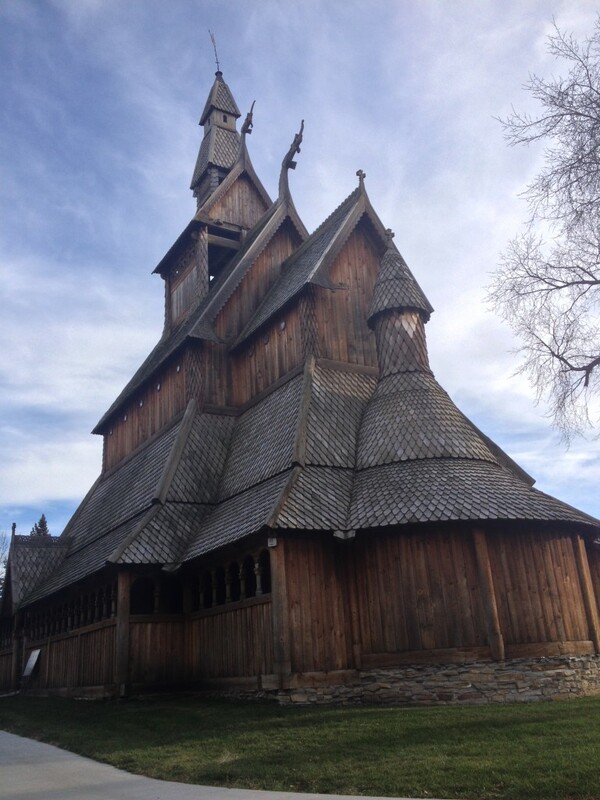 There are only a handful of Stave Churches in the United States. Most appear in the Upper Midwest, where most of the Norwegian, German, and Scandinavian immigrants settled late in the 1800’s. They are beautiful works of Medieval Gothic Architecture, constructed with wood beams and intricately-designed details. 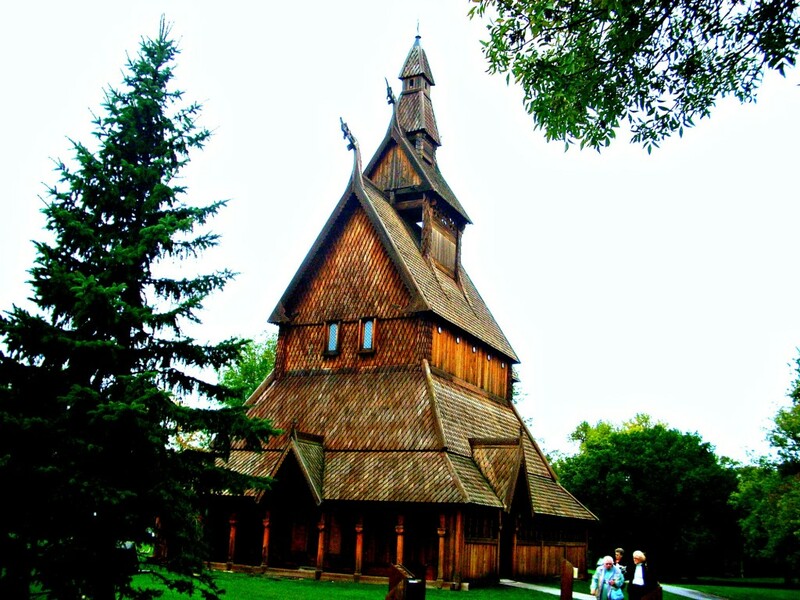 The church was built in 1998 by Guy Paulson as an exact replica of the Hopperstad Stave Church in Vik, Norway. 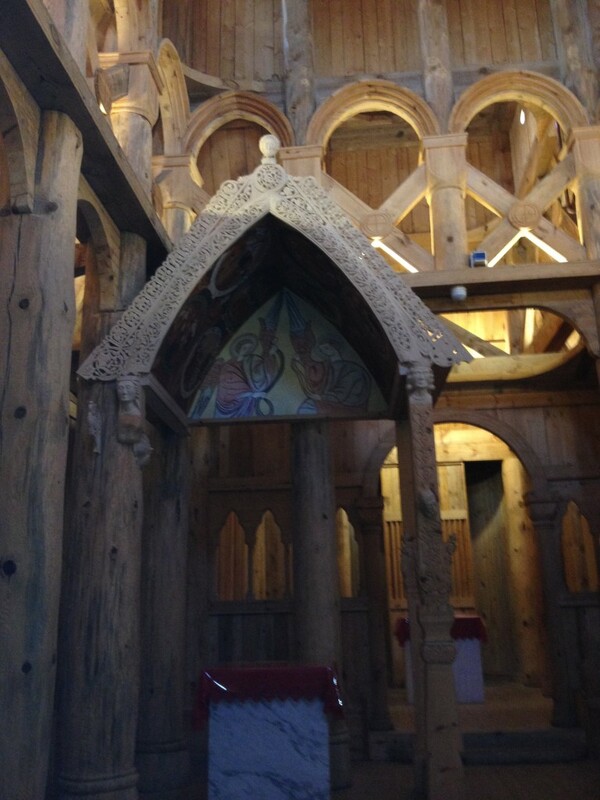 For a small admission, you can take a guided tour of the inside of the Stave church, while it is free to walk around and examine the exterior. The inside is basic and elaborate all at the same time. 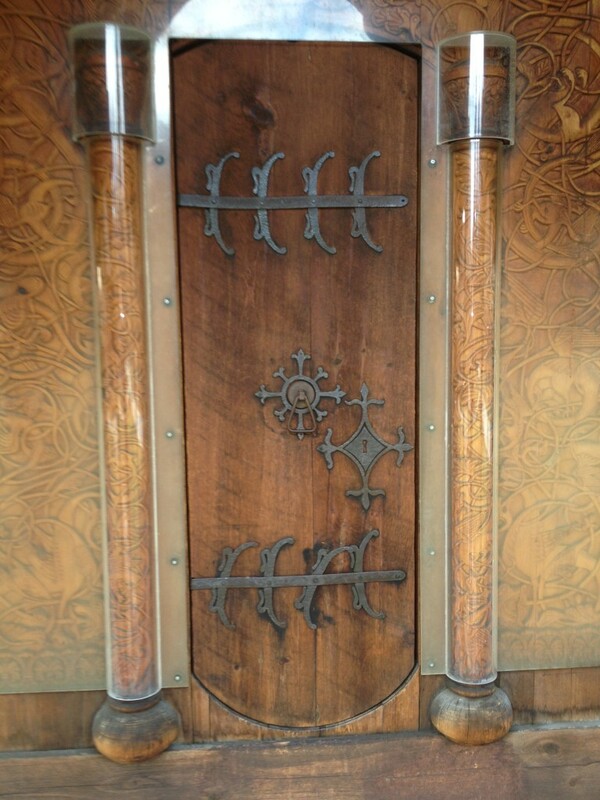 Their are beautiful details everywhere you look, with themes ranging from Christian, to Viking, to Sorcery. It’s an architectural masterpiece, set in a very green little park on the banks of the Red River. 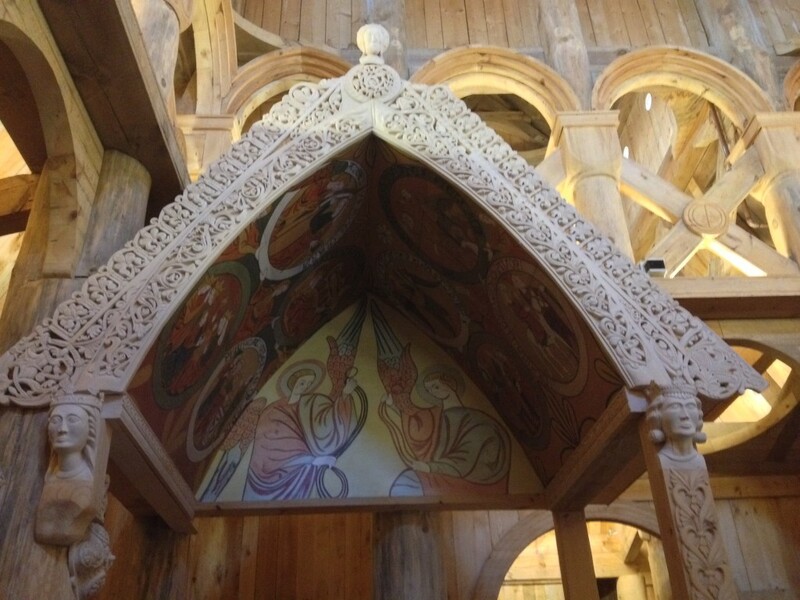 There is also a Stave Church in Minot, ND, a couple of them in Wisconsin, and even a small replica in the Concordia Language Villages near Bemidji, MN. The Stavkirk can be rented for weddings in warmer months, and tours are closed in the winter due to weather conditions (there is no heat inside it). While in the area: Outside of Moorhead is a pretty cool WPA-era preserved one-room schoolhouse, and Fargo is home to the infamous Wood-Chipper. But if you’re looking for the Stavkirk church, you might as well take in the Hjemkomst Viking Ship as well.